1 x flat/internal half round pliers. 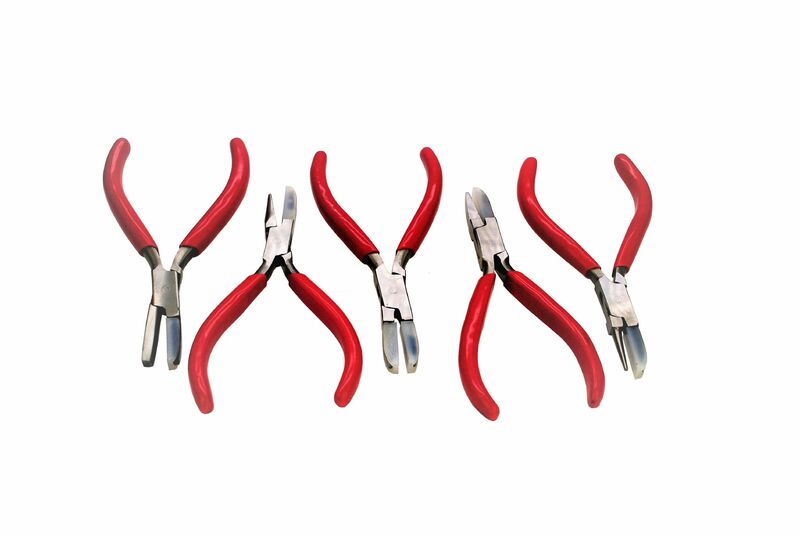 1 X flat/flat pliers with nylon insert on both jaws. 1 x flat/flat pliers with nylon insert one of the jaws. 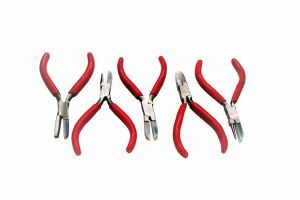 Multi-functional pliers, perfect tool for jewellery making, wire wrapping and forming. Made of stainless steel with a nylon insert over the jaw/s that cannot be removed with a special non-slip red PVC handle for a perfect grip.